We will be holding a Community Living Room 26 April 12.30-2.30 at Penny Lane Development Trust. 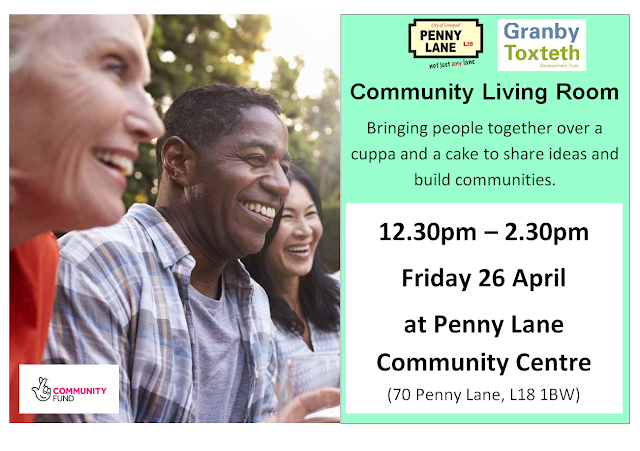 Come along and get your blood pressure checked and possibly bring along any unwanted clothes. 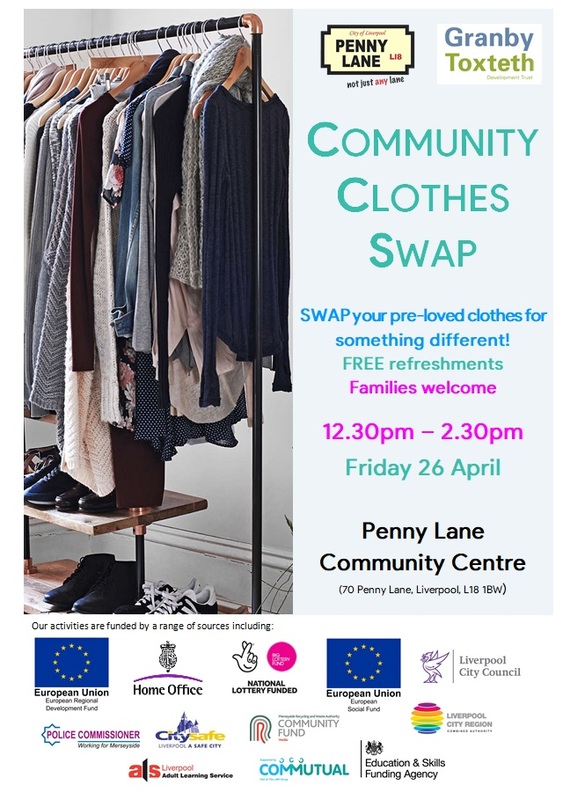 There will be a great opportunity on the day to take part in our Community Clothes Rail and give some of our pre-loved clothes a home, so why not pop along and see what we have to offer.